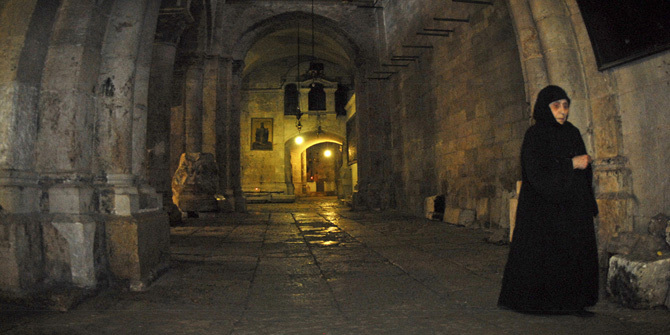 The Christian quarters of the old city, the Church of the Holy Sepulcher. with which every desert wanderer falls in love." The New York Times is recommending Desert Eco Tours' trips. We received the 'Tripadvisor Award of Excellence' of 2010, 2011, 2012, 2013. The tours to Jerusalem can start from any place in Israel, the Sinai, Sharm el Sheikh, Jordan, Aqaba or Eilat. An intensive day covering all of Jerusalem's major Christian Sites. We begin the tour at Jerusalem's famous Church of all Nations (Church of Agony) in the Garden of Gethsemane. 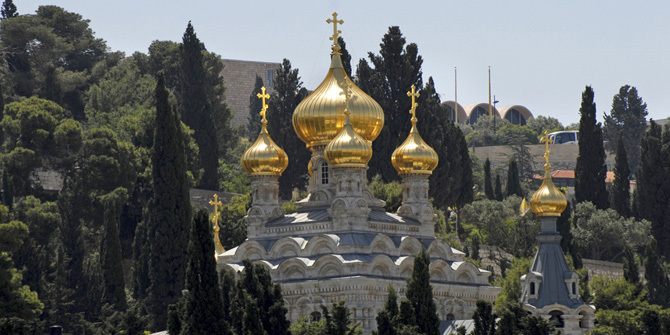 A short drive away we tour Jerusalem's famous Christian sites on the Mount of Olives. We enjoy views across Jerusalem's Old City. 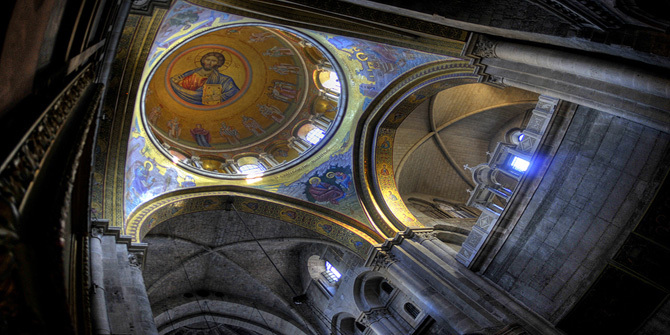 We tour the Church of the Assumption dedicated to Our Lady. We head for Jerusalem's old city and tour all four quarters: Christian, Armenian, Jewish and Moslem. 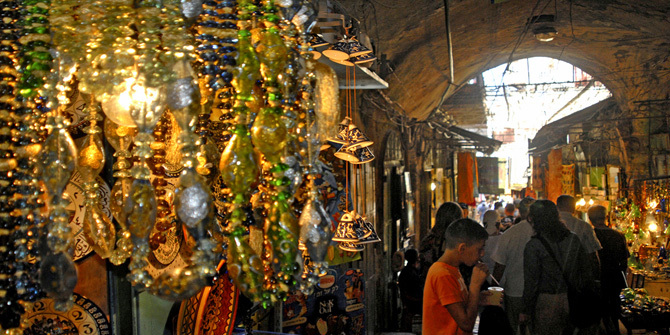 Entering Jerusalem's Old City through Zion's gate in the Armenian Quarter, our tour leads first to the Jewish quarter visiting en route the fascinating 2,000 year old remains of Jerusalem's famous 'Burnt House' where we have an insight into the lives of Jerusalem's occupants during the Roman conquest. We continue our tour to the Western Wall where we take a few minutes for prayer before continuing our tour on to the Temple Mount and Israel's famous Dome of the Rock. A short walk takes us past the Lions gate to the Church of Saint Ann, the site of Saint Ann's home and birthplace of Mary. We walk by the nearby pools of Bethesda that supplied Jerusalem's former Temple Mount and where Jesus performed a healing miracle. From here we begin our tour of the Way of the Cross (Via Dolorosa) walking in Jesus final footsteps we stop at all of the stations on the route. Beginning at the first station where Jesus was condemned to death, we visit the Church of the Condemnation and the Chapel of the Flagellation (where Jesus was flogged). 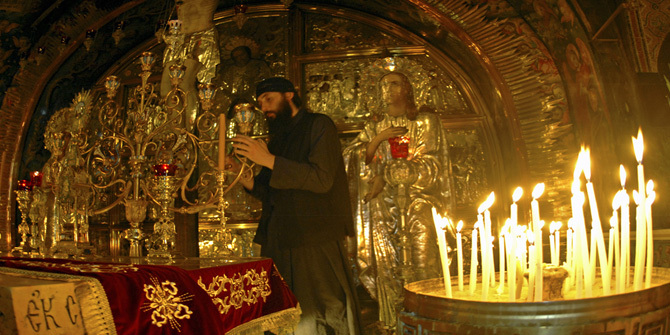 We follow in Jesus' footsteps to the next station where Jesus fell for the first time (Armenian Catholic Hospice). A little further we see the Church of Our Lady and the Spasm, a chapel marking the place Jesus met his mother. Further along a small Franciscan chapel marks the spot that Simon carried Jesus Cross. At the sixth station is St Veronicas Church marks the station where Veronica wiped Jesus' face. 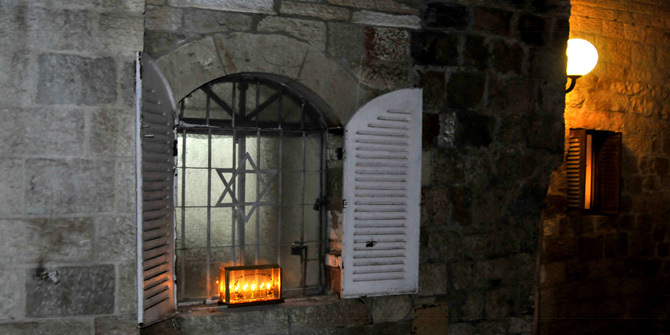 A small Franciscan chapel marks the seventh station where Jesus fell for a second time. 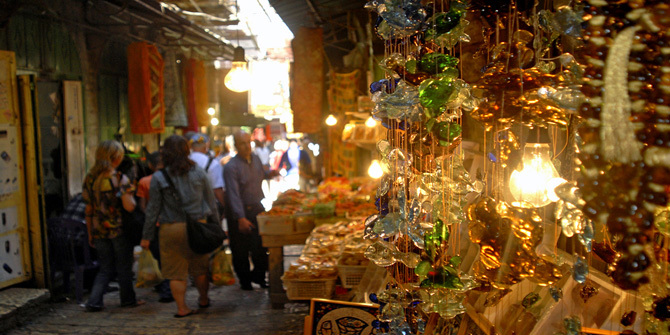 Today we can see Jerusalem's Arab market and the ancient entrance to Jerusalem. A short distance away the Greek Orthodox Convent marks the site Jesus told the women of Jerusalem not to weep for him. Station nine is beside the Coptic Church and where Jesus fell for the third time. 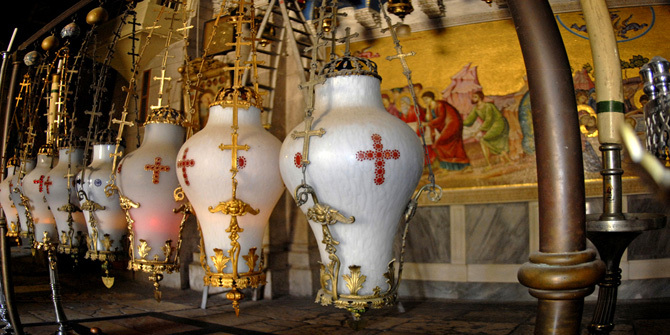 Within Jerusalem's main Christian site the Church of the Holy Sepulcher, are the final five Stations of the Cross, each a chapel of dedication including the Hill of Calvary and the tomb of Jesus'. We also find here the stone slab (Unction stone) on which Jesus' body was prepared for burial. Completing our tour Church of the Holy Sepulcher, we pass the Citadel of Jerusalem and tour Mount Zion just outside Old Jerusalem's city walls. Here we tour the room of the last supper, King David's tomb and Jerusalem's Church of the Dormition dedicated to Our Lady. Day one: We head to Mount Zion and begin our tour of Jerusalem's Old City, we enter old Jerusalem in the Armenian quarter via Zion's gate, we tour the Armenian Quarter to the Jewish Quarter and on to the Western Wall, en route we visit the fascinating ruins of the Burnt House getting an insight into Jerusalem life under Roman rule. 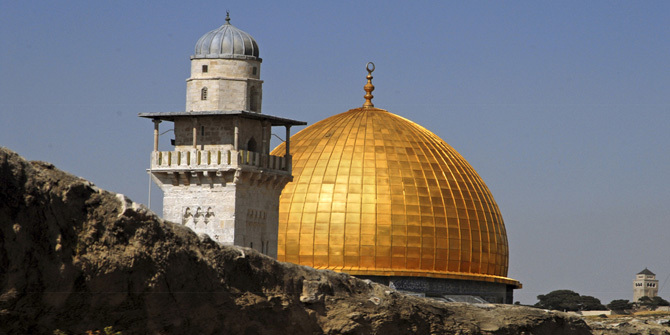 We reach Jerusalem's famous Western Wall and tour the nearby Dome of the Rock on the Temple Mount. The tour leads past the Lions gate on to Saint Anne's (Birthplace of Our Lady). The nearby Bethesda Pools supplied Jerusalem's Temple mount with water and here Jesus performed a miracle. Nearby we begin our walk along the Way of the Cross (Via Dolorosa) we visit the many chapels along the route marking all of the Stations of the Cross. 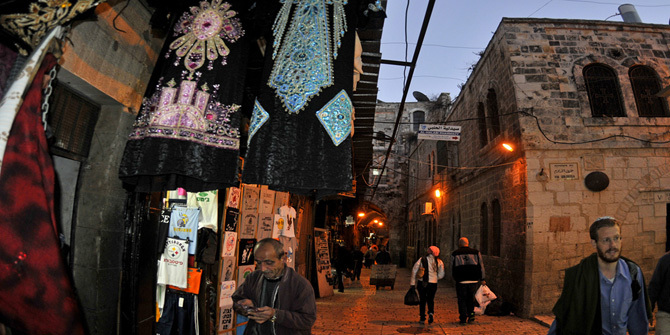 The ‘Way of the Cross' leads through the Moslem quarter of Jerusalem onto the Christian quarter and to Christianity's most revered site in Jerusalem, The Church of the Holy Sepulcher. 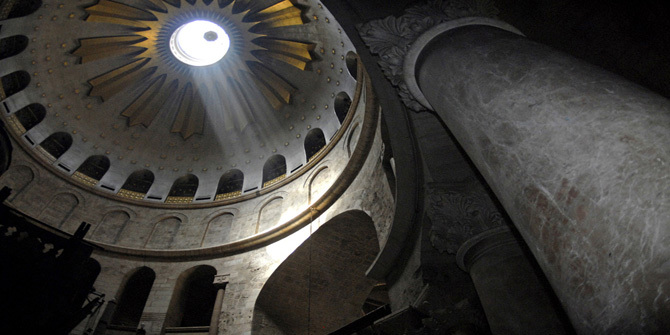 Within the imposing walls we tour the Hill of Calvary and the Tomb of Jesus. We see The Unction Stone where Our Lord's body was prepared for burial. 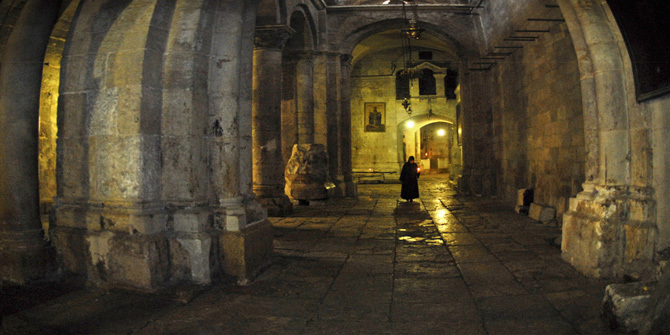 Our tour continues to the Citadel of Jerusalem, The Tower of David, back to Zion's gate and to Jerusalem's Mount Zion we tour the Last Supper Room David's Tomb and the Church of Dormition. Day Two: We begin today's busy sightseeing tour of Jerusalem and Bethlehem on the Mount of Olives, it was here that Jesus ascended into heaven; we take in the Views of Jerusalem, its city walls and the Mount of Olives cemetery below us. 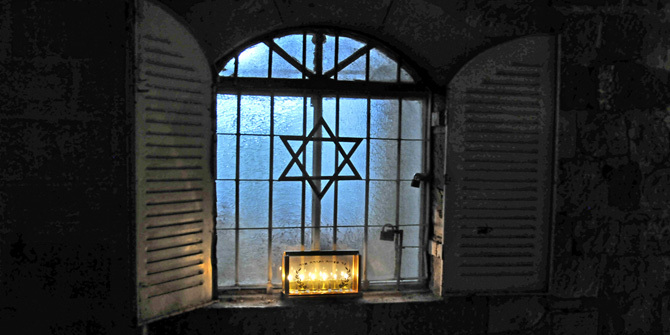 We visit here the Church of Pater Noster marking the place that Jesus taught the Lord's Prayer. 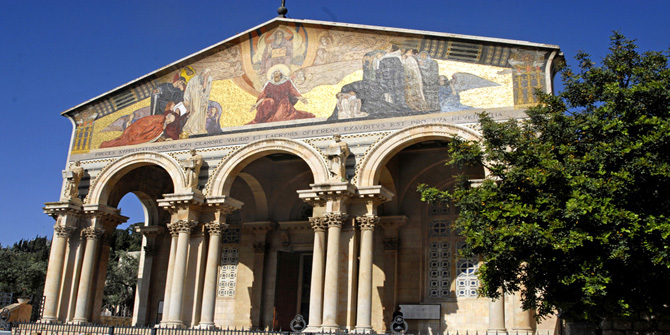 A short ride takes us to the Garden of Gethsemane and Jerusalem's most famous church, the ‘Church of all Nations'. From here our tour takes us to Bethlehem, here we take a short tour and visit the Church of The Nativity. We return to Jerusalem and Ein Karem (meaning 'Spring of the Vineyard', the biblical 'City of Judah'), birthplace of John the Baptist, We enjoy a short tour, taking in the quaint scenery and visit the Church of Saint John the Baptist before we complete the second day of our Jerusalem tour. The area surrounding Jerusalem boasts some of the most fantastic scenery and stunning Christian sights and desert scenery in all Israel. From Bethlehem to Jericho, the fabulous ancient monasteries of the Judean desert and the mesmerizing shores of the Dead Sea. Our tours of one and two days cover the most splendid tour routes in the area. They cover the most renowned sites and the smaller, less visited treasures that few tourists get to see. Desert tours from Jerusalem to the Judean desert. Wadi Kelt, St. George & Marsaba Monastery. 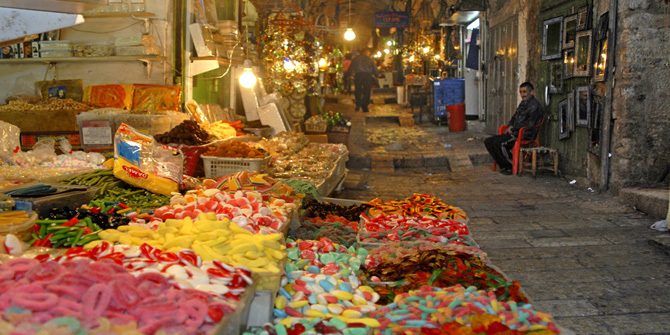 Sightseeing Tours of Jerusalem: The Jewish, Christian, Armenian and Moslem quarters of the old city. Desert Eco Tours - P.O. Box 4113, Zofit center, Eilat Israel.